Peter is currently the newly appointed Managing Director for Hunter H2O. With a strong background in chemical engineering and operational support, Peter brings a practical, and customer connected element to his leadership style. Peter has made substantial contributions to sustainable urban water management in the Hunter and elsewhere throughout Australia including pioneering work on effluent recycling, beneficial use of biosolids in the Hunter and energy efficient design of water infrastructure. As a CEO and executive manager with over 30 years experience in the industry, Peter has extensive experience in water industry management and is widely recognised as one of the leading water industry strategists. Peter has been involved in all aspects of water utility management including strategy development and execution, customer/community consultation, operational leadership, regulator engagement, policy development, infrastructure delivery, ongoing asset management and workforce planning. He has also a strong track record in ensuring an engaged and diverse workforce is in place to enable successful delivery of the strategic plan. CEO of Armidale Regional Council – responsible for overseeing the amalgamation of a number of Councils and leading the economic growth of this dynamic Australian city. CEO of Seqwater the Queensland Government’s statutory authority responsible for ensuring a safe, secure and reliable bulk drinking water supply for 3.1 million people across South East Queensland (SEQ). General Manager, Strategy & Sustainability with Hunter Water Corporation. In this role there was significant focus on strategic planning, community consultation, stakeholder engagement, capital portfolio management, capital planning and delivery, interface with regulators, water security, energy management and water resource management. 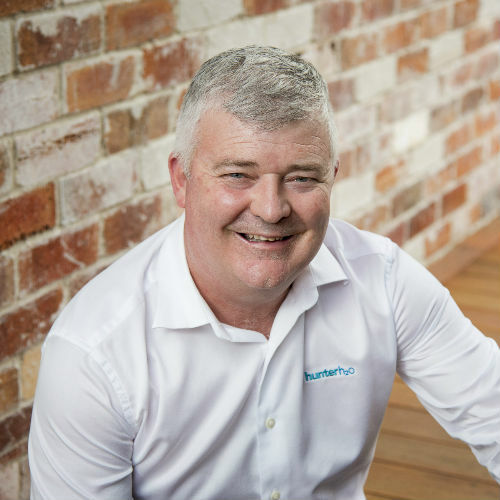 He recently accepted a role on the Board of the Australia Water Association and occupies roles on the Newcastle Institute of Energy and Resources – Government Board, Mackay Regional Council Water and Waste Water Board and the NSW Local Government Board. Peter additionally is Conjoint Professor for the Faculty of Engineering and Built Environment, University of Newcastle, and has achieved a position within the Top 100 most Influential Engineers in Australia, Engineers Australia 2014, 2015.